To listen to this free dialogue, click here. 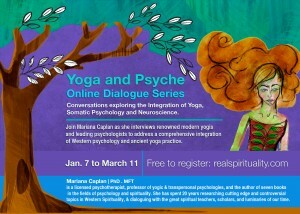 Mariana Caplan, PhD, MFT, is a licensed psychotherapist, lifelong yogi, and the author of seven books in the fields of psychology and spirituality, including Eyes Wide Open: Cultivating Discernment on the Spiritual Path, The Guru Question: The Perils and Awards of Choosing a Spiritual Teacher, and the seminal Halfway Up the Mountain: the Error of Premature Claims to Enlightenment. 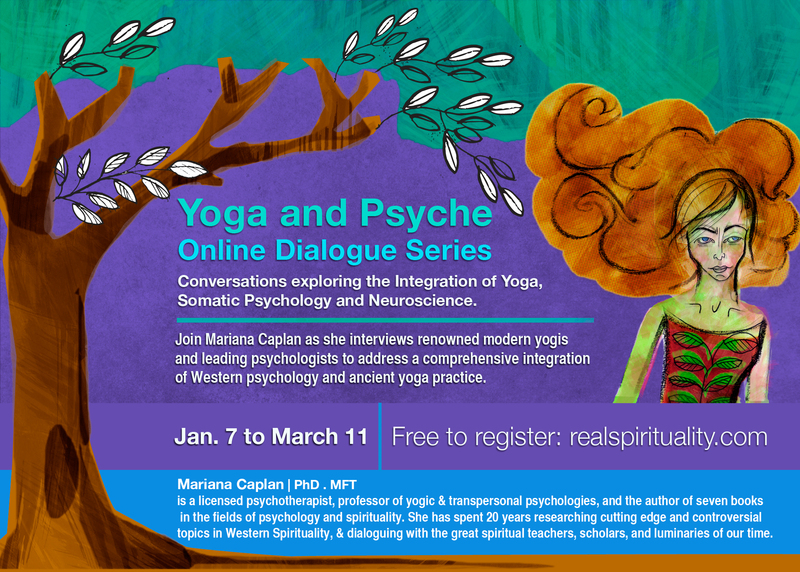 She is currently working with nine interns conducting living research on the intersection of yoga and Western psychology, and is in the process of writing a book, workbook, and academic article on the subject.